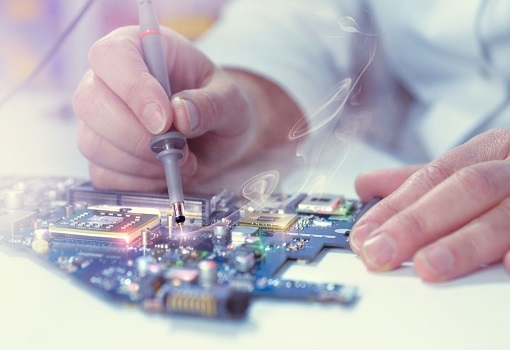 Merlin Embedded is a small engineering design firm specializing in the development of drop-in replacements for existing and obsolete products. Our drop-in replacement products are designed to work with the customer's existing software and cabling. We take the user’s manual for the product and use this as our design specification. We do not use anything that is considered proprietary information of the original manufacturer. Typically within 4 months we can provide an evaluation unit that should begin to work as soon as it is installed in the customer’s system. Any errors that are found are normally cleaned up with firmware modifications that the customer can download from a USB port. If necessary we can go on-site to assist in debugging the evaluation unit. On-site debugging normally takes no more than 1-2 days. We sometimes include upgrades to the existing and/or obsolete product. The upgrades do not interfere with the backwards compatibility. The customer may choose to alter their software to take advantage of the upgraded features or simply ignore them. In situations where we design a drop-in replacement to an obsolete product, the customer’s obsolescence problem literally becomes our problem. Once we start work, the customer will not hear from us until we have the evaluation unit ready to ship. The customer’s involvement is simply to spend a few days testing the evaluation unit. The new Merlin Embedded unit works with the existing software and cabling. No system changes are required. There is no risk to the customer. Even in the cases where we have NRE charges, Merlin does not submit an invoice until the evaluation unit is completely signed off by the customer. If we don’t deliver, we don’t invoice. Merlin Embedded will guarantee support for 15 years. We will never obsolete a product without having a drop-in replacement available for our customers. © 2018, Merlin Embedded. All Rights Reserved.